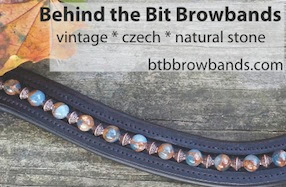 This year -- the 2014 show season -- a friend of mine and I collaborated to sponsor a new award in our local GMO (Lehigh Valley Dressage Association). 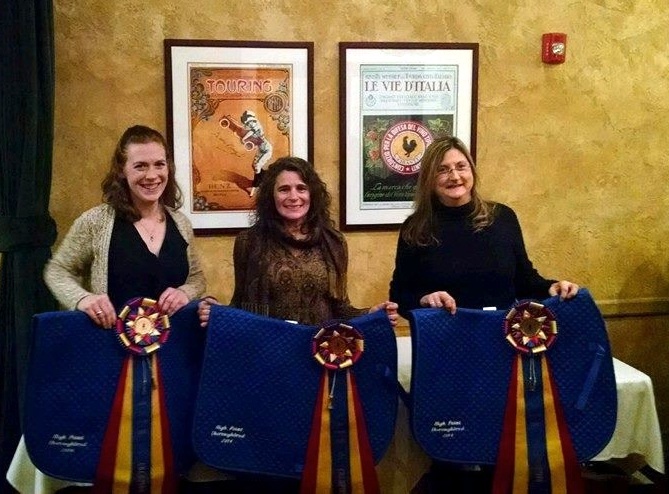 The Thoroughbred High Point Awards was given for the first time to three lovely ladies and their thoroughbred dressage horses who excelled in schooling and recognized shows last season at Training, First, and Second Levels. It was very gratifying and fun to see these ladies be recognized for their success. Harvey is nodding in approval, as is a lovely boy no longer with us, Manhattan (Rudy). Go thoroughbreds. I sponsored a High Point OTTB award in my local dressage chapter, Inland Communities, California Dressage Society. The first winner was Karla Mason on Prince Albert, an 20+ OTTB she is leasing from her trainer. Karla and Albert have done an amazing job and they too got a cooler (I bought one from Susan Salk who wrote the OTTB blog until December 2014). Fun to see such a special breed honored for doing so well in a second career.